Does Ocasio-Cortez’s Green New Deal Outlaw Every Building In The Country? 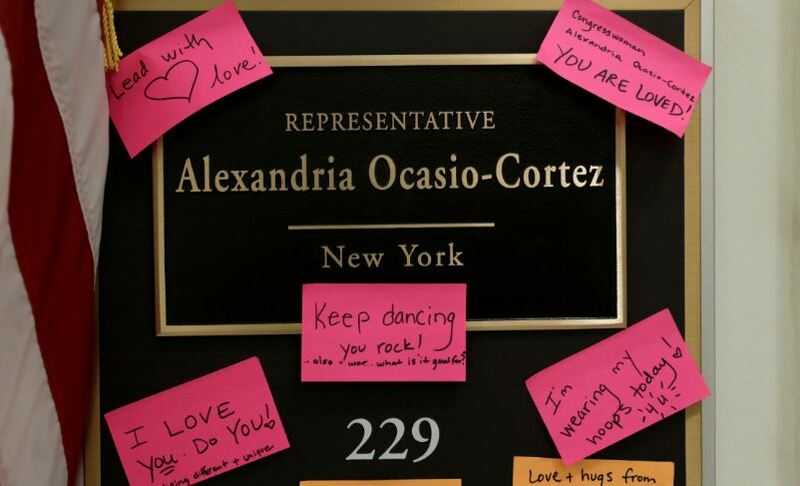 Democratic New York Rep. Alexandria Ocasio-Cortez’s Green New Deal could outlaw every building in the country, according to a document Democrats posted online Thursday explaining the nuts and bolts of the deal. Ocasio-Cortez’ original concept received support from four of the Democrats currently mulling a presidential run in 2020. But the updated version, which was rolled out Thursday morning, got tepid support from the likes of Speaker of the House Nancy Pelosi, who called the idea a “green dream” Wednesday. The final version removed a call to eradicate fossil fuels, a move that roiled some environmentalists. “[T]he failure to mention and explicitly state that we have to end the era of fossil fuels is just a huge missed opportunity to be real about where we are and where we need to go,” Friends of the Earth President Erich Pica said in a statement after the plan was released.